It's been said multiple times that the sport of boxing makes too much fuss over losses and in my opinion, that statement couldn't be any truer. All of the greats in the past, like Muhammad Ali, Ray Robinson and Roberto Duran, had their share of L's through their careers. Even today, top fighters like Manny Pacquiao and Wladmir Klitschko have lost a couple. Losing only makes a fighter better. It can shake off the cobwebs of complacency and show one person why they came up short and how they can adjust to improve. It's not about when you lose. It's about how you lose and the circumstances that lead to it. One loss alone shouldn't put a career in danger, unless some kind of neurological damage is done, but HOW one loses can easily take a career down a path far different than the one currently being traveled. In the case of former jr. welterweight champion Devon Alexander, he is heading into his bout this weekend facing a challenge that extends past his opponent in the ring. When we last saw Alexander, he turned in a paltry performance against Timothy Bradley, which ended with what many presumed to be a quit-job. Alexander's journey has been a fascinating one for anybody who follows the marketing side of boxing. This time last year, Alexander was being marketed as a boxing prodigy, who at only 21 years of age and a veteran of only 20 fights had captured two division titles by stopping two former champions in Junior Witter and Juan Urango. Witter quit on his stool against Alexander, two fights removed from being edged out by Bradley, and Urango was launched into space by a spectacular Alexander uppercut. After those two performances, the fighter known as "The Great" was being given an opportunity by HBO for a mega-showdown with division kingpin Timothy Bradley in what would be a can't-miss clash between two young guns. All he had to do was get past former champion Andriy Kotelnik in a hometown fight to seal the deal. What instead happened was that Kotelnik settled into a rhythm early, got his timing down, and was counter punching Alexander the whole fight, making a walk-over night turn into a night of work. Alexander had to resort to smothering the robotic Kotelnik with heavy activity to steal a victory not many thought he won, or at the very least though he benefited from some home cooking. The Bradley fight, as we all remember, or wish not to for that matter, was an ugly clash of styles marred with headbutts and pitter-pat punches. Alexander fought passively and showed only shades of the talent he displayed months prior. The pivotal moment came in the tenth round of the fight when, after a second cut was opened up from a Bradley headbutt, Alexander complained of a burning sensation in both eyes and he could not continue. Prior to the decision being read, Alexander seemed fine, which lead many to believe that he just quit because he thought he was ahead, a tactic used by Julio Cesar Chavez in his rematch against Frankie Randall. That decision has put Alexander's career on the edge of oblivion. Two bad efforts with mixed results have shaken the boxing community's faith in this young and growing fighter, unfortunately making him look like he's more on the way out than on the way up. Against Lucas Matthysse this weekend, Alexander comes off of a dubious loss and a questionable win, neitehr of which will entice fans into thinking that this is a must-see fight. That being said, it is a good fight. The problem with Alexander is that two very good wins have misled the public into thinking that he was ready for the elite fighters. The Kotelnik and Bradley fights have proven otherwise. It happens all the time in this sport. Notable "flash in the pan" fighters of years past include David Reid, Jermain Taylor and Chris Arreola. 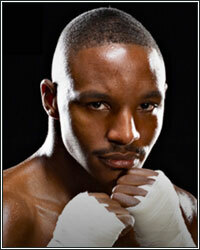 A loss against Matthysse may very well make Alexander another footnote in this decade. Alexander cannot rely any further on contractual network dates, mandatory rematches, or anything of the sort from here on out. His career is in danger and is one bad performance away from being jettisoned to ESPN should he accept that career path, a humbling moment from a fighter that may very well go from prospect to champion to prospect yet again. Destiny is no longer in the hands of his promoter or the networks that choose to show him. Instead, it is in the talent and faith in himself that made us think he was really that good. What would truly be unfortunate for everybody is if "The Great" ends up just being a case of too much, too soon. We'll find out if that's the case on Saturday night. Be sure to catch Howard and Vivek Wallace every Wednesday on FightHype Radio.